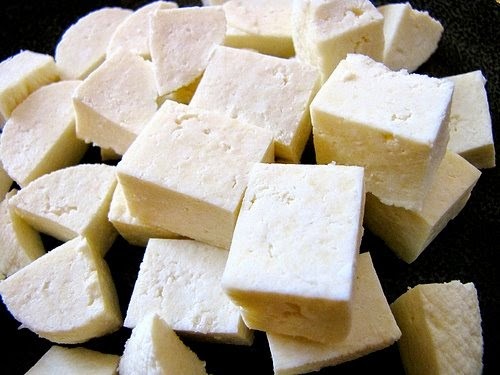 Paneer is a common fresh cheese used in South Asian cuisine. It has been used widely as the common cheese in Indian dishes since ancient times. Prepared by adding food acid to hot milk and then separating out the curd and whey, paneer is a semi hard cheese with sharp flavor. 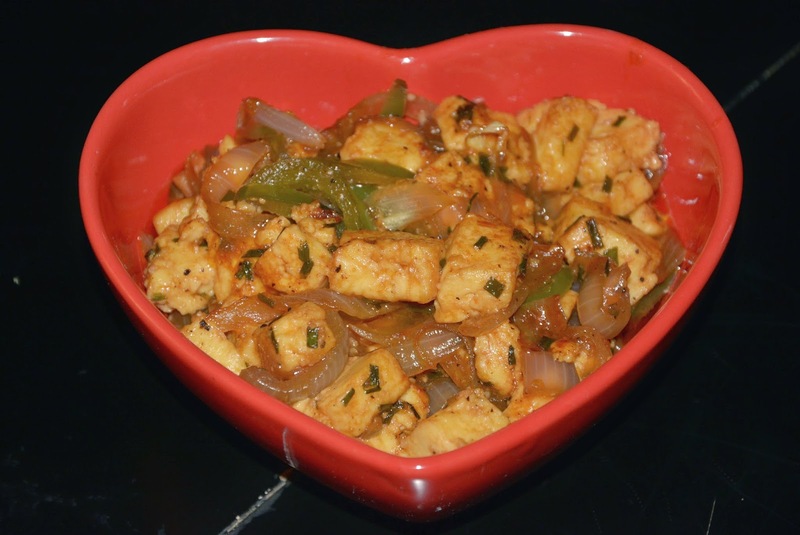 A number of traditional Indian dishes can be prepared with paneer, Chili Paneer is however a less traditional but quite popular dish in the Indian cuisine. This dish is easy to prepare with a preparation time of 5 minutes and cooking time of 10 minutes. Chop the onion, spring onions and bell pepper in julienne style. Chop the paneer into cubes. Add the oil to a thick bottomed pan and add the onion and bell pepper. Sprinkle the crushed dried garlic, freshly ground black pepper and salt. Stir it nicely. Then cover and cook for 2-3 minutes. Add the chopped paneer, soya sauce, red chili paste and chopped spring onions. Again sprinkle a bit of crushed dried garlic and freshly ground black pepper. Stir it carefully so that the paneer does not break. Cover and cook for 5 minutes and its ready. Serve hot with basmati rice.